Bhimaratha Shanti is performed when a person reaches seventy years as per his Janmakundali. The deity here is Sri Lakshminarasimha Swamy. Also offerings and oblations are done to Dhanvantari and Ayushdevatas. 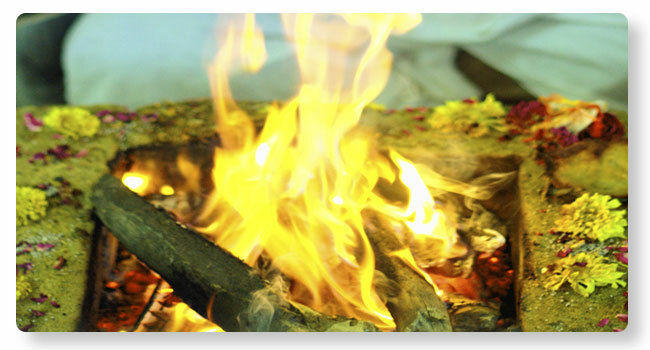 By performing this Homa, good health, full life are sought from the deity. Also, courage to face the difficult moments in life are sought. Dhanvantari is prayed thus: Dhanvantarateeti Yashasah. Through prayers to Dhanvantari courage, sound health and fruitful everyday life is sought.